Know the signs of bullying. 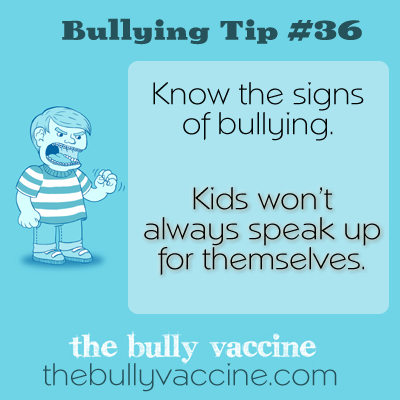 Kids won’t always speak up for themselves. Most people are embarrassed that they are the victim of bullying and don’t want to talk about it. This is why it is essential that you speak up for them if you witness bullying.